A mysterious and alluring with warming notes of amber, incense, Madagascar vanilla and patchouli. This blend is lightened up with layers of romantic notes such as rose, jasmine lilac, and top notes of blood orange and grapefruit. Weighs 4-5 oz. Shipping will be adjusted for multiple items purchased. 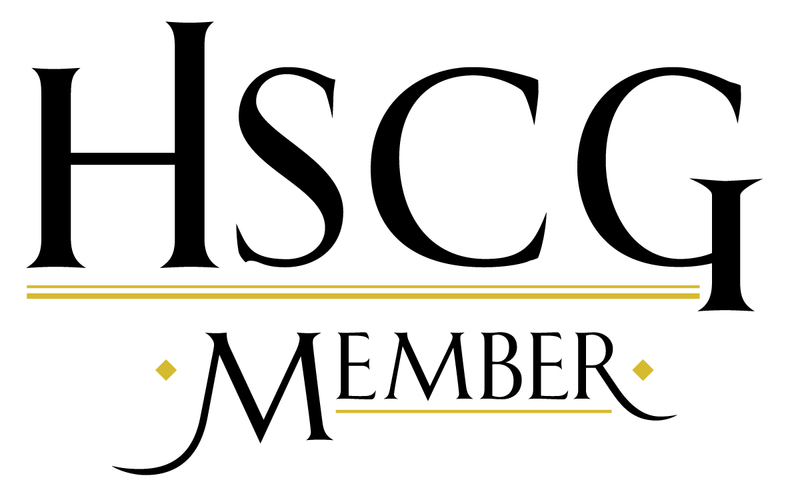 *Sodium Hydroxide (Lye) is used during the Saponification Process to turn oil into soap. None remains in the finished product. 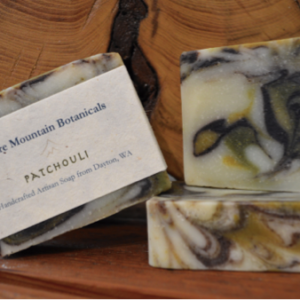 The patchouli plant is part of the mint family. In the 18th and 19th century, silk traders traveling from China to the Middle East packed their silk cloth with dried patchouli leaves to prevent moths from laying eggs and destroying the silk. 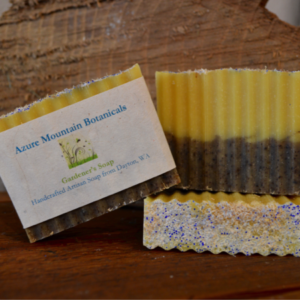 Timeless and earthy, this bar uses the essential oil and is colored with alkanet root, spirulina, and safflower powder. 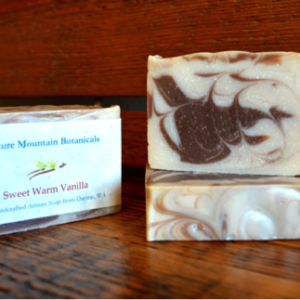 The fragrance of this bar is similar to the popular Bath & Body Works fragrance, “Warm Vanilla Sugar.” Oriental vanilla with middle notes of coconut, vanilla, and rice; bottom notes of sandalwood, musk, vanilla, and heliotrope. 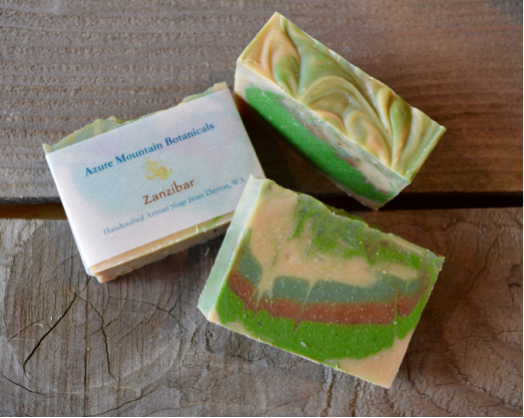 Fresh citrus and lightly sweet, this bar is made with skin loving rice bran oil, and shea butter. Calendula is soothing and adds a bit of exfoliation. 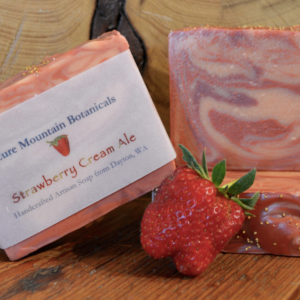 Relax with this ale bar made with local Strawberry Cream Ale. The hops used in the crafting of beer contain amino acids, which are known to be soothing to the skin, and sugars from the beer create a luxurious lather. Strawberry Cream Ale is happy and light. Strong and deep with sun ripened berries, this scent is sweet, but fresh with notes of orange, apple, grapefruit, and peach. 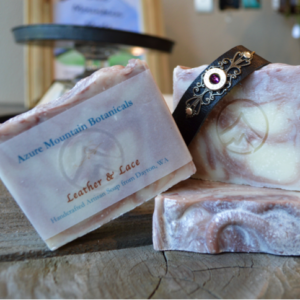 Leather & Lace is a crisp and clean scent, like fresh laundry right off the line combined with a deep and musky leather, lemon and mandarin zest with base notes of patchouli and frankincense. This is a great blend for gardeners and includes local Rey’s Roast coffee, loofah, and jojoba beads for those wanting a little exfoliation. 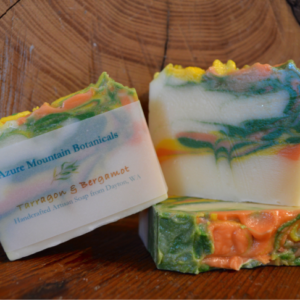 The fragrance in this bar is an essential oil blend of Orange, Cinnamon Leaf, and Patchouli. A spa-like scent with notes of tarragon leaves, grapefruit, and lime, complimented by bergamot and jasmine, and followed by bottom notes of oakmoss and bamboo. 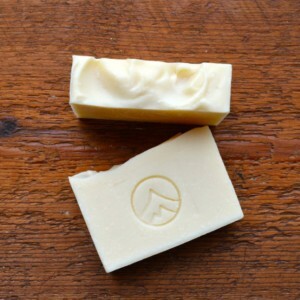 Bastille Fragrance Free Soap is made with 70% (or more) olive oil but contains other oils or butters. Made for delicate baby skin and is fragrance and colorant free. 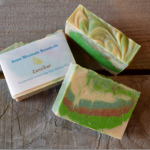 Handcrafted Botanical Soaps, Bath Salts, Soy Candles, & Body Butters. All Natural High Quality Ingredients & Exceptional Service.